If I am photographing a person who gets photographed often they almost automatically recognize and appreciate my camera brand of choice. Andy Palmer, C.E.O. of Aston Martin was one such person who automatically recognized my camera brand though it was his first time seeing an H5 series camera. However, I never photographed a person who is himself a Hasselblad user from time to time. 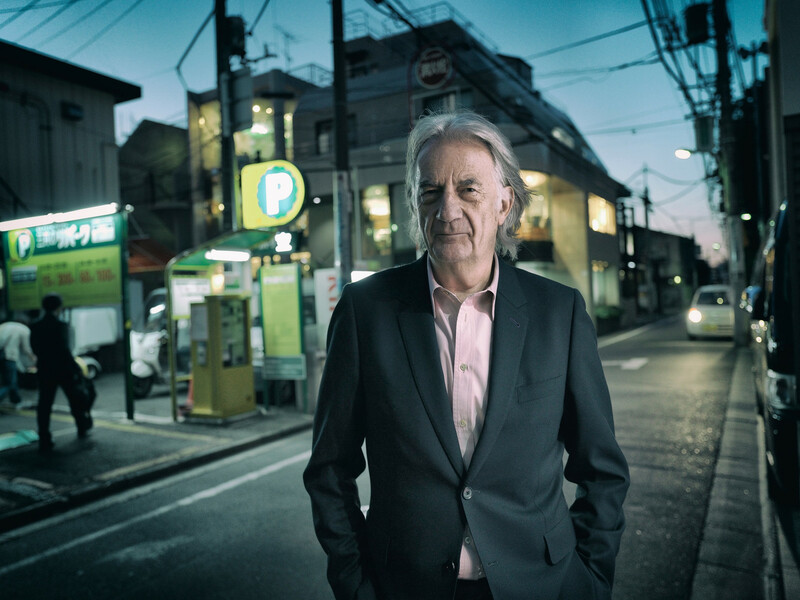 That person was famed fashion designer Sir Paul Smith who is himself in addition to so many things, a talented photographer who I photographed at his Omotesando office space. I spent am enjoyable 45 minutes in his presence and was just as I had read from past interviews, one of the most humble, warmest and kindest individuals you could meet. Though I had brought lights with me, knowing how busy Paul Smith must be I opted to shoot using ambient light. We stepped out the door of his office, and with the sun having dipped below the horizon, I took full advantage of the H5D-50c’s brilliant low-light capturing abilities cranking up the ISO to 3200 with an aperture of f3.5 at 1/45th of a second hand held. Utilizing the light from a shop window, I bathed the right side of his face in the light and took the shot which I enjoyed the most from the series of photos I took of him. Later, in photoshop I toned the image and boosted the contrast to get this look.